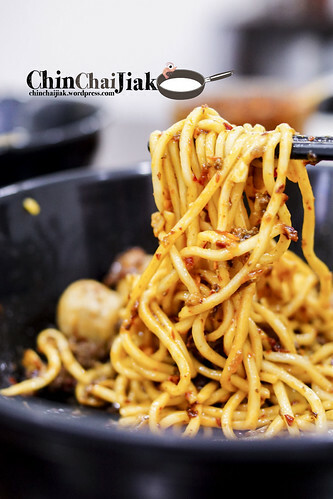 Kin Kin Pan Mee (Handmade Noodle) took Singapore by storm a couple of months ago and it was said that people queued up to three hours for their “legendary” noodle. 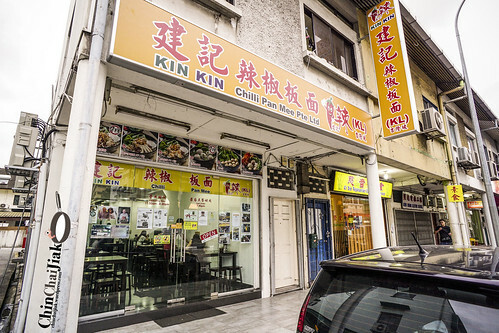 Kin Kin was originally from Kuala Lumpur and had three outlets under the name of Restoran Kin Kin. 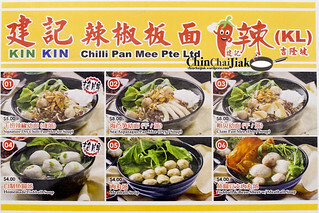 It was selling at 7rm (S$2.80) a bowl in Malaysia and it’s best known for it’s pan fried chilli and the half boiled runny yolk. I was here at about 6pm on a weekday and the eatery is quite vacant. It’s actually more of like an air-conditioned coffee shop. There are about sixteen four-seater tables, each with a bottle of their signature fried chilli placed on it. 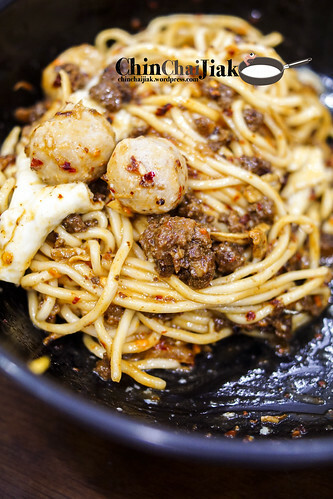 A bowl of dry noodle cost S$5 and comes with a generous serving of braised minced meat and fried anchovies, meat balls and a soft-boil egg. The handmade noodle is not the soft and soggy kind. It’s a little firmer which makes it enjoyable to chew on. Kin Kin also added Pork Lard as part of the recipe, which works out pretty well. As for their signature chilli, it’s surprising salty, as I was expecting it to be sweeter. 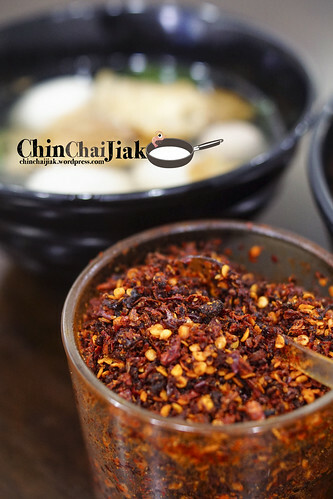 If you taste it carefully, it taste like grinded chilli (with seed) pan fried in salt and some kind of chicken seasoning powder ( i thought I tasted Kaka, a kind of old school chicken flavoured tidbits). 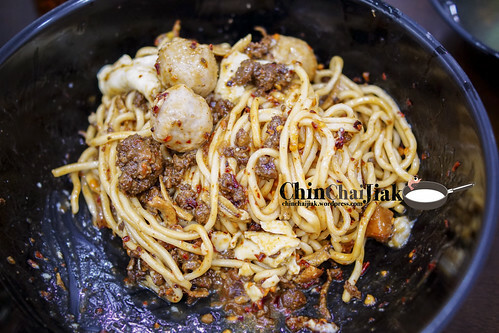 This chilli therefore enhances the noodle like how a seasoning pack enhances the shaker fries. The overall taste isn’t exactly mind blowing but is more of like “kind of nice”. 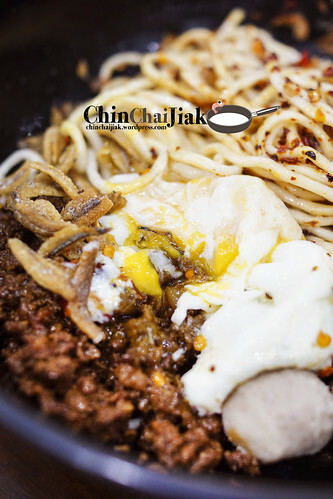 Every mouthful comes in a blend of egg yolk, crispy anchovies, sweet minced pork, pork lardy chewy noodles and strong spicy kick from the chilli. I also ordered their Pork Ball / Fish Ball / Tau Kee Soup. 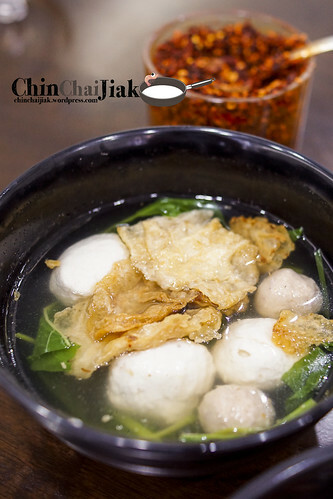 Among the items, their handmade fish ball stood out for it’s unique soft yet springy texture. Unfortunately, i don’t really like the fishy smell of the fish ball (i am a little sensitive to such smell). 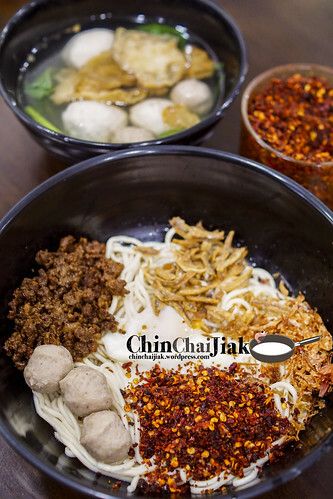 I thought Kin Kin Pan Mee is not bad. I like their rather generous topping of fried shallot, minced meat and fried anchovies and the free-flow chilli is a plus. Overall, Kin Kin may not taste exactly “legendary”, like how some claimed it is, it’s still one of the better ones in Singapore. 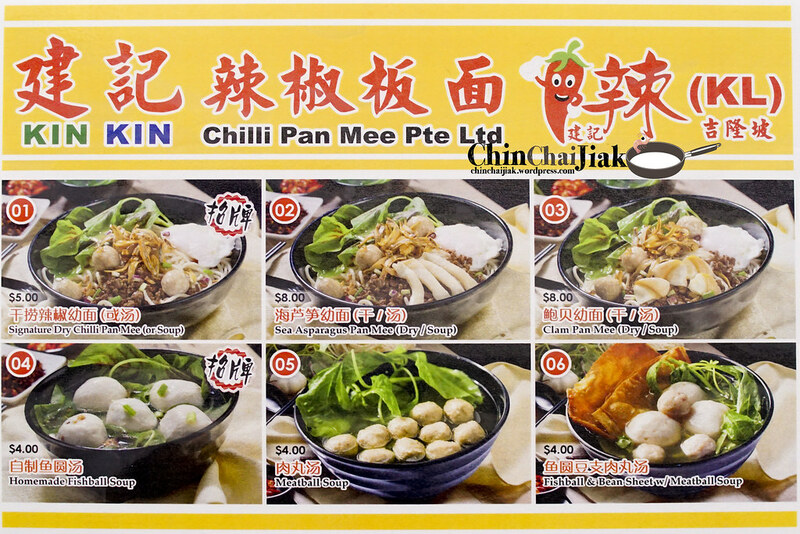 I thought the highlight of Kin Kin Pan Mee is for their chilli so for those who can’t take spicy stuff, you may want to reconsider about making a trip down. 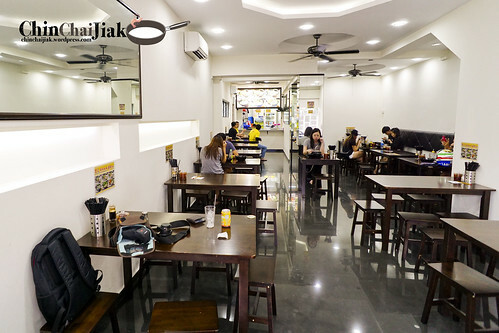 Although i find Kin Kin noodle not bad, i will probably run off to somewhere else for my meal if i know that the queue takes more than 20 minutes. The nearest MRT to Kin Kin is to alight at Tai Seng MRT and take a short 5 to 7 minutes walk.